Common Phellinus Fungus is a natural edible and medicinal fungi, wherein the active ingredient is polysaccharides, since dried fruiting bodies of Phellinus polysaccharide content lower body to absorb the difference, modern technology for the biological properties of the active ingredient in Sang Wong, after all the extraction efficiency concentrated to obtain a high content of polysaccharide product, also called polysaccharide or Phellinus extracts. 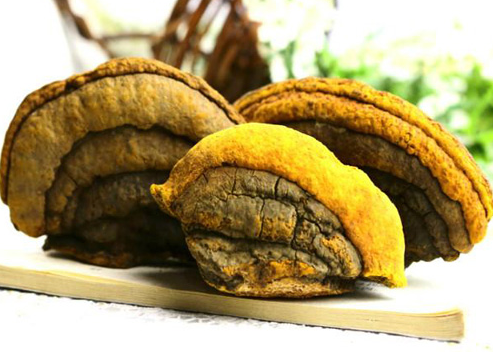 Sang Wong relatively speaking, Polysaccharide high content of active ingredients, Common Phellinus polysaccharide content in dry goods only about 2%, after extraction of polysaccharide content can reach 20-50%, in addition to dry goods fiber content is high, the body is not easy to absorb, efficacy expression does not come out, only as a food to eat, but to achieve health benefits, then need to go through extraction concentration and other multi-channel technology. 2. Liver function liver fibrosis and promote liver regeneration, can be used for prevention and treatment of chronic hepatitis, cirrhosis, liver ascites. 3. Reduce blood glucose levels and adjustment, effective prevention and improve diabetes. 4. Reduce blood fat, prevent arteriosclerosis, prevent cardiovascular and cerebrovascular disease. 5. The prevention and treatment of rheumatoid arthritis. 6. Phellinus extract completely inhibited uric acid, gout has a good effect. 7. The anti-allergy, allergic rhinitis, eczema effect long lasting good.